Washington, Apr 4 (Just News): The US President Donald J. Trump spoke yesterday with King Salman bin Abdulaziz Al Saud of Saudi Arabia. King Salman thanked the President for hosting Crown Prince Mohammed bin Salman at the White House. President Trump expressed solidarity with Saudi Arabia following the Iranian Islamic Revolutionary Guard Corps (IRGC)-enabled Houthi ballistic missile attacks against civilian targets in Saudi Arabia on March 25. The leaders discussed a range of regional issues, including the importance of achieving a comprehensive peace between Israelis and Palestinians and opportunities to strengthen the American-Saudi strategic partnership. The leaders agreed on the significance of reinvigorating a political process to end the war in Yemen. On Syria, the President and the King discussed joint efforts to ensure the enduring defeat of ISIS and counter Iranian efforts to exploit the Syrian conflict to pursue its destabilizing regional ambitions. 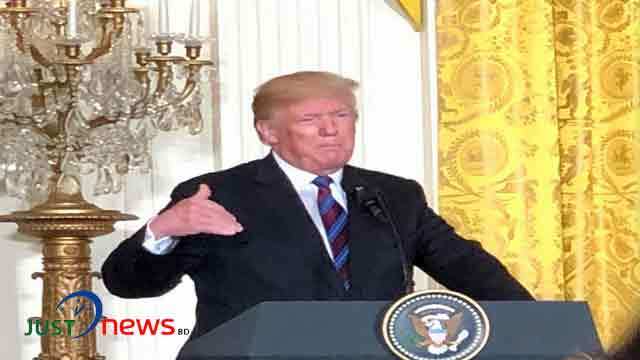 President Trump emphasized the importance of resolving the Gulf dispute and restoring a united Gulf Cooperation Council to counter Iranian malign influence and defeat terrorists and extremists.